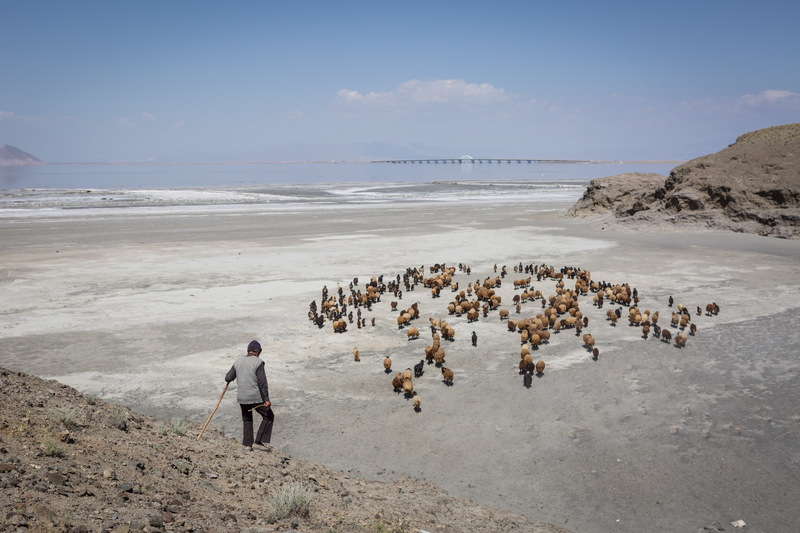 A shepherd wanders around Lake Urmia in search of meadows for his goats. 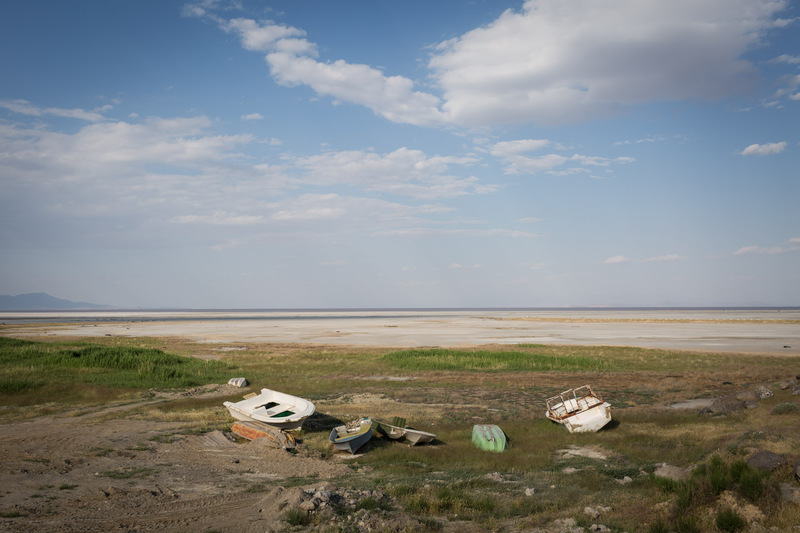 The desertification of the lake makes it harder each year for farmers to find fertile soil. 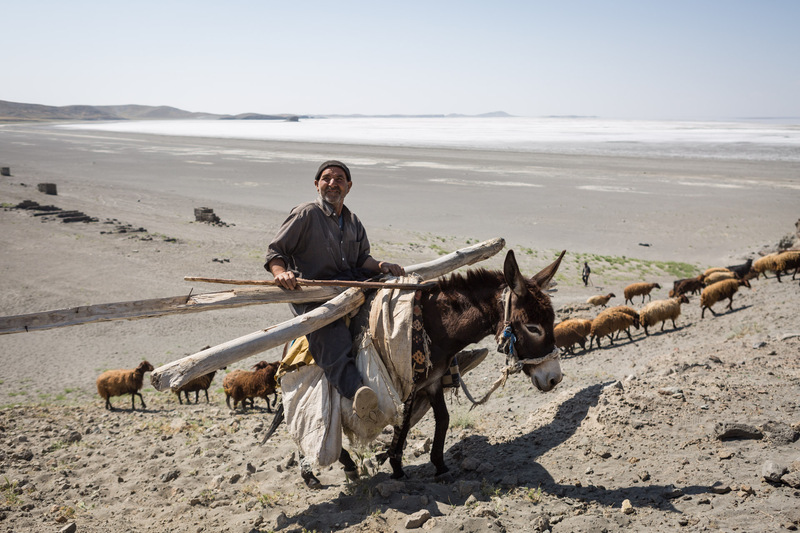 A shepherd rides his donkey at Lake Urmia. 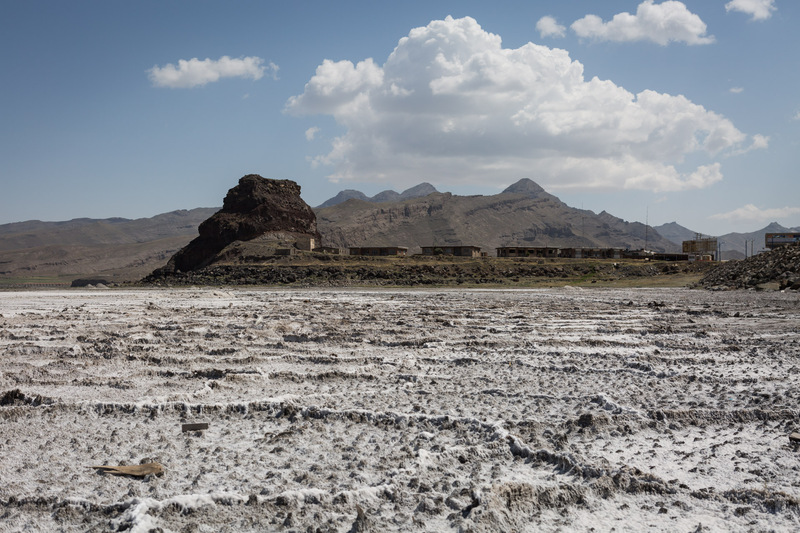 The shores of the lake used to stretch right behind him, today the white salt left behind by the vanishing water is all that can be seen for kilometres. Two farmers are using the salty former bottom of the lake to dry their hay on. The salt crystals will enrich the hay, thus nurturing their animals. 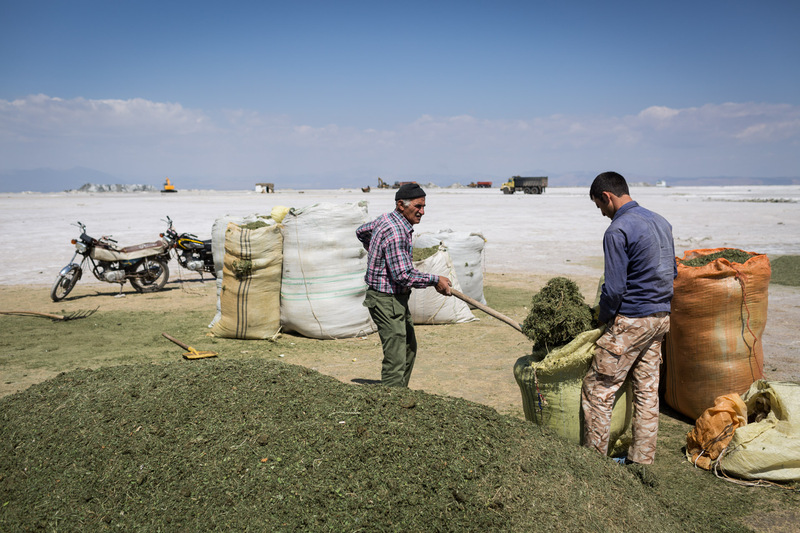 Two farmers collect dry hay from the salty ground where Lake Urmia used to be. 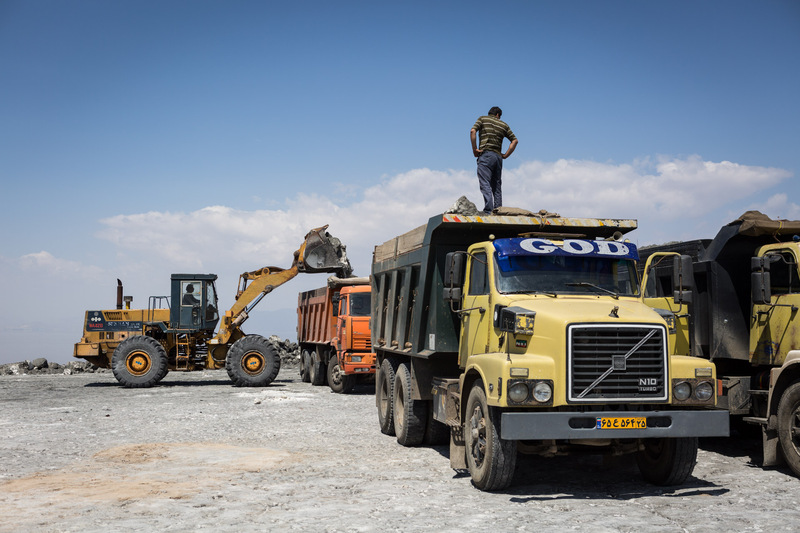 With economy dwindling, many farmers are shifting their businesses to harvesting salt. 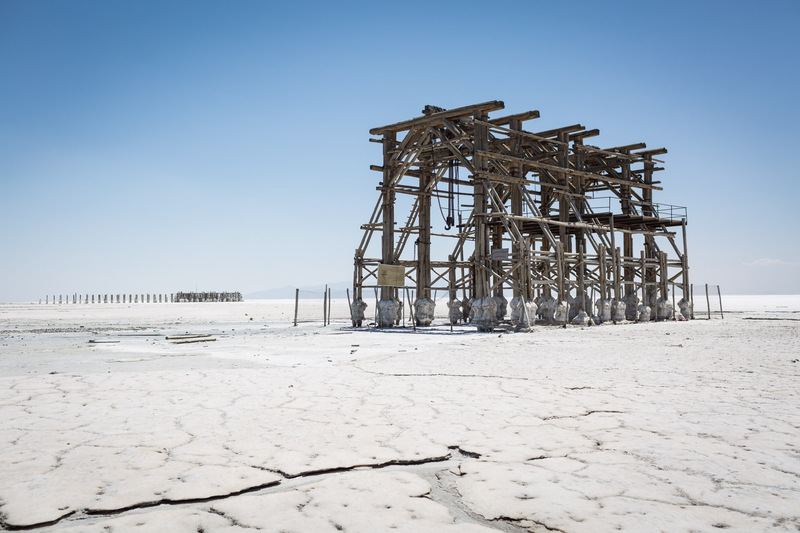 Because the lake always had very saline water, the dry ground now is almost pure salt. It can be easily dredged and sold. 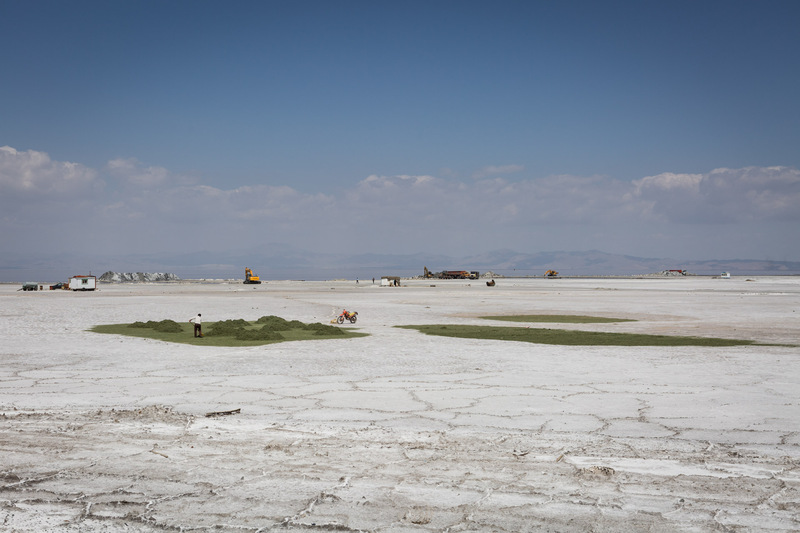 Heavy machinery is used to harvest the saline earth. 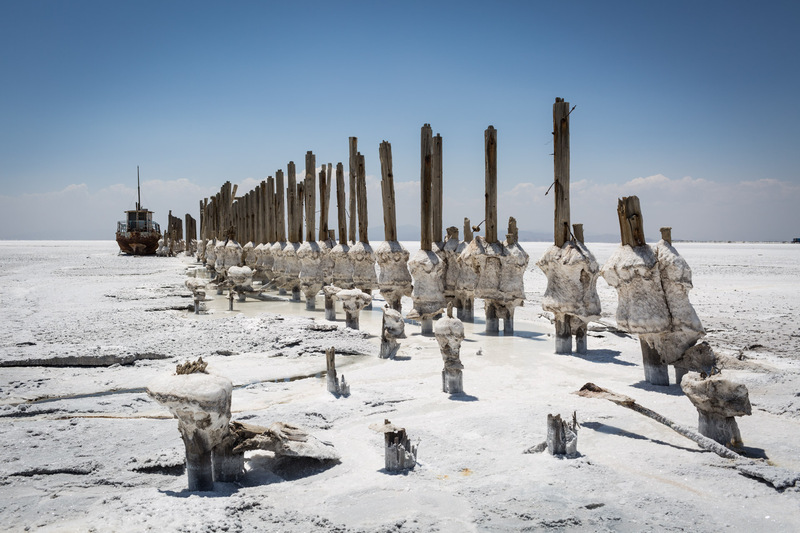 What used to be meters below the surface of the lake, is now a crusty salt layer, stretching for kilometres. A family has its photo taken in front of the northern half of the lake, which still has water. 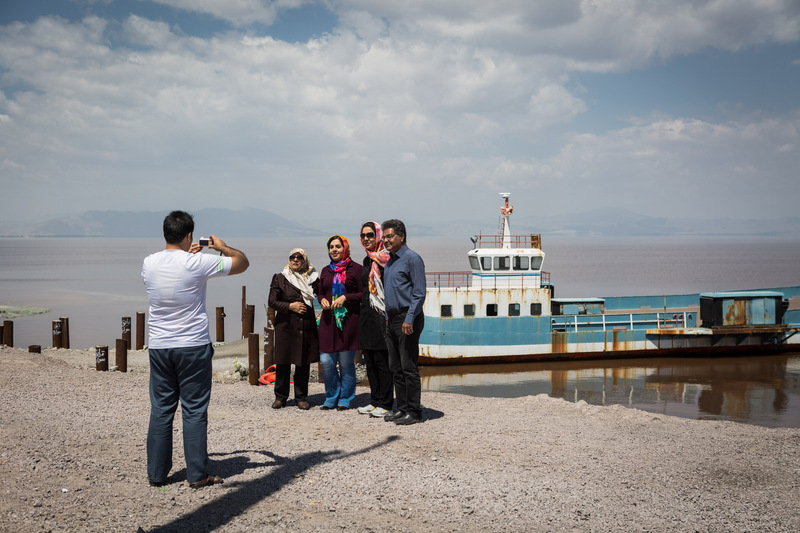 The ferry in the background has turned into a popular subject for photos, after becoming useless when the bridge connecting the eastern and western half of the lake was finished. A jetty used for commercial ships now leads into nowhere. A jetty used for discharging shipments from commercial ships lays bare, highlighting how much water vaporized over the last few decades. Stakes of a jetty covered in salt look like popsicles nowadays. 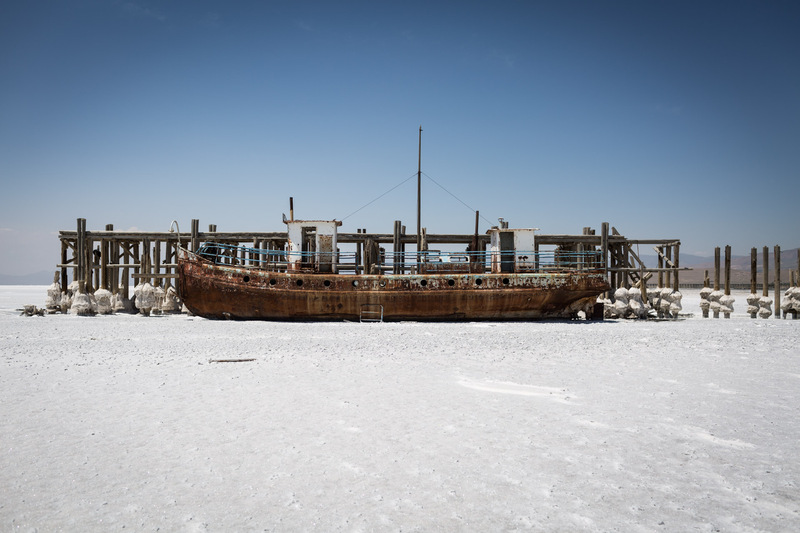 A ship sitting on salt rusts in the sun. 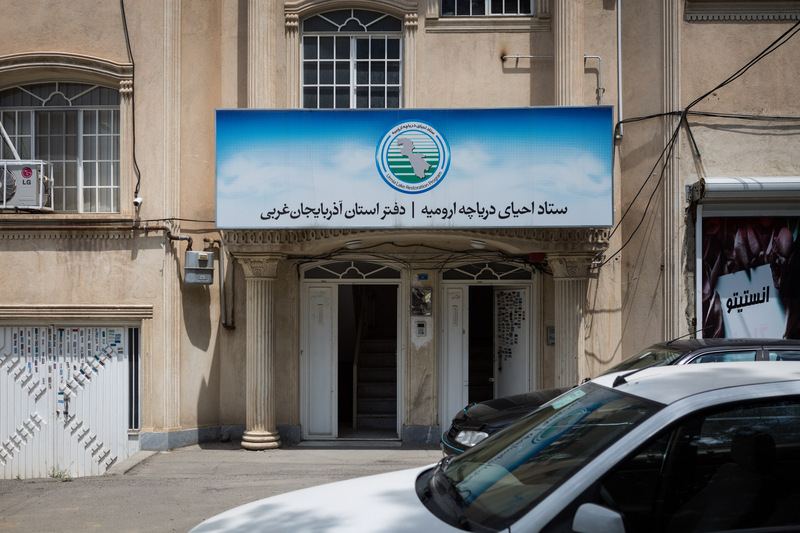 The organisation "Urmia lake restoration program" has its office in Urmia city. 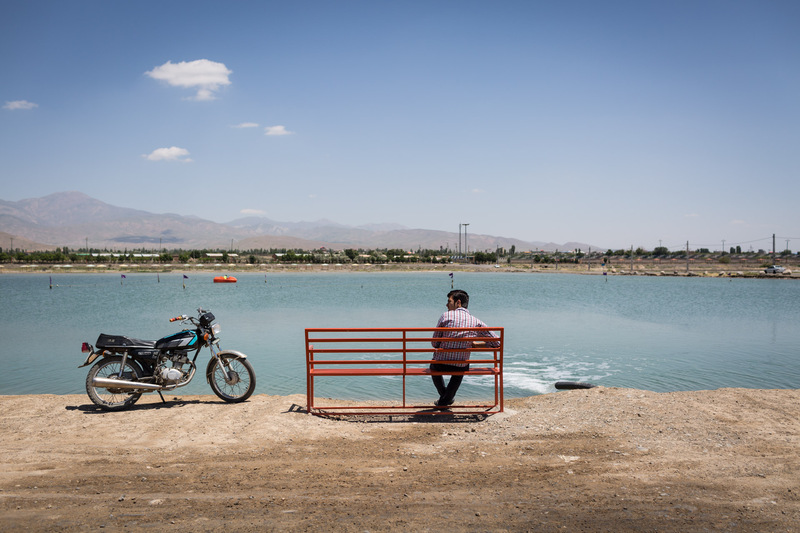 After receiving funding from the presidents office in Tehran, it has been working on solutions how to save the lake. So far, all of them proved ineffective. The entrance to a former lake resort used for vacation has seen better times. Within a lake resort, two chairs are right in front of the lake's former shore. Today it's not even possible to see water any longer. Guest huts around the lake haven't seen visitors for a long time. A sign in a lake resort show where the lake used to be. 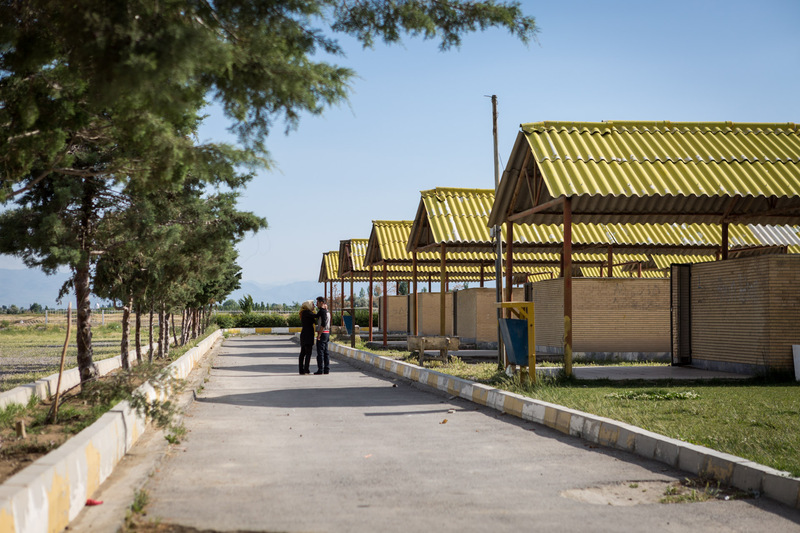 Today the perimeters of the lake resorts are used by Iranians to spend some time alone, because they are unlikely to meet other people there and can enjoy some privacy. 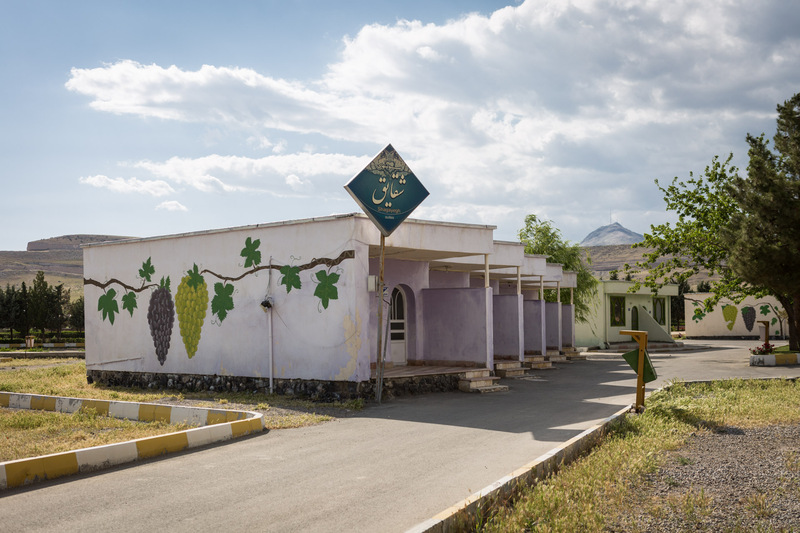 A once flourishing hotel, built at the height of tourism at Lake Urmia, still has opened and hopes to attract visitors. 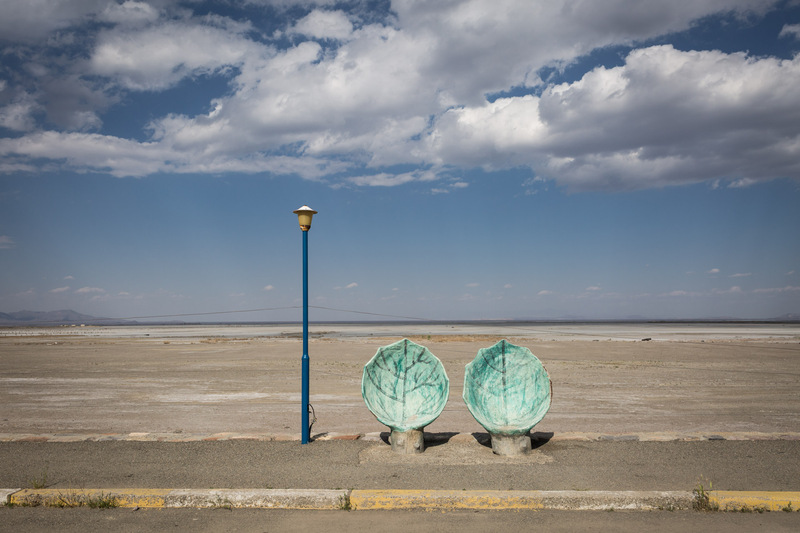 Apart from domestic guests, Lake Urmia used to attract Russian and Azerbaijani guests as well. Boats sit in a place that has been dry for so long that it's now covered in grasses. 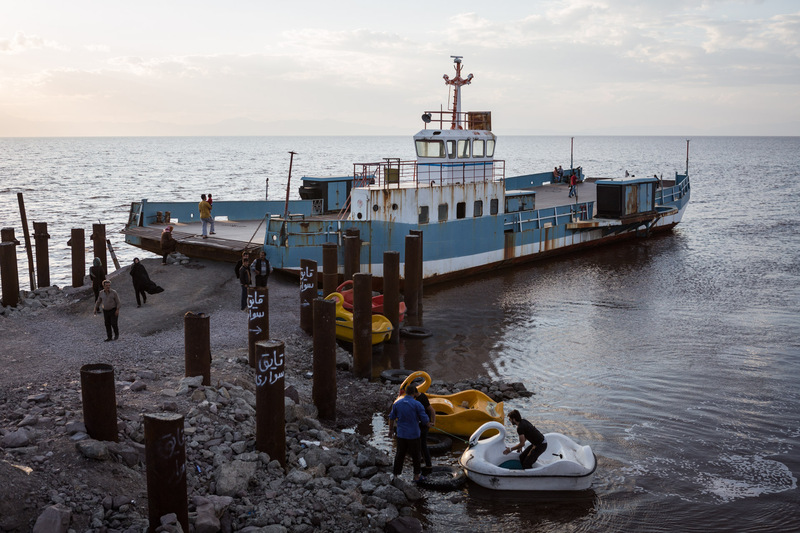 In the evening, people embark an old ferry to await dusk. The ferry, situated at the bridge connecting the eastern and western part of the lake, is now popular as a photo subject. 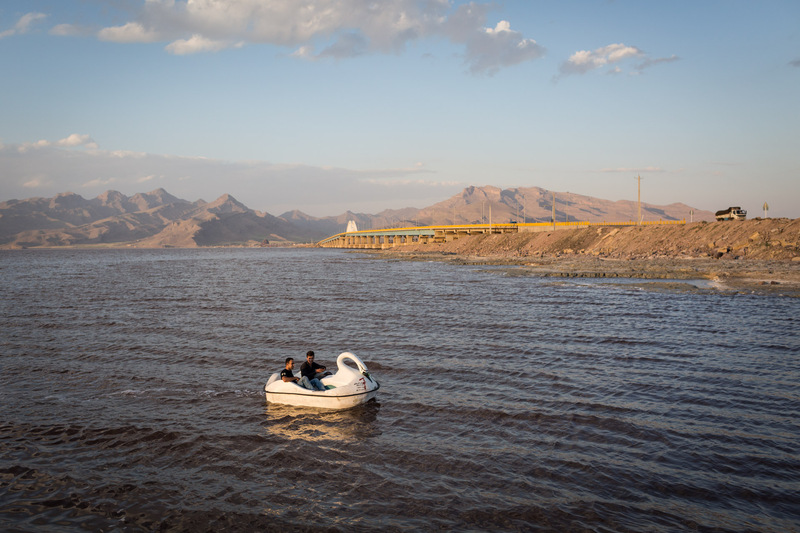 Two men are riding a swan-shaped paddleboat in the northern half of Lake Urmia that still has water. 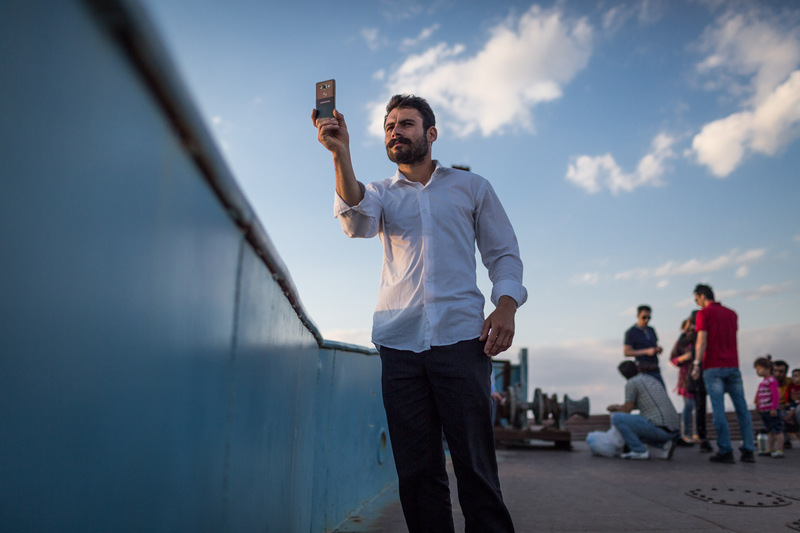 A man takes a photo from the old ferry. 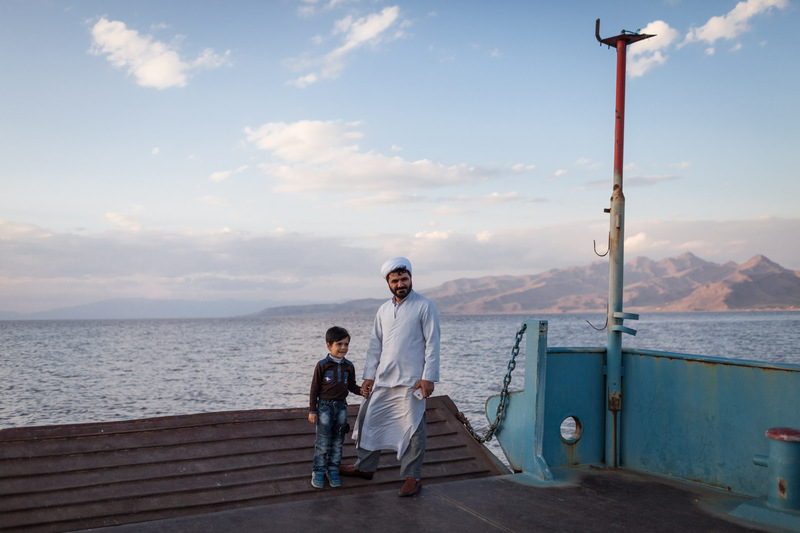 A mullah (a religious clergyman) and his son have their photo taken on the old ferry. 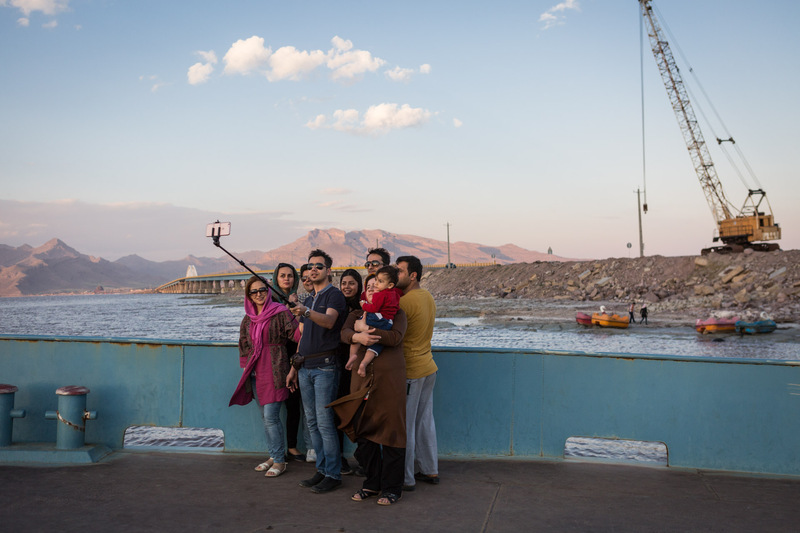 A group of young Iranians take a selfie, the bridge crossing the lake in the background. 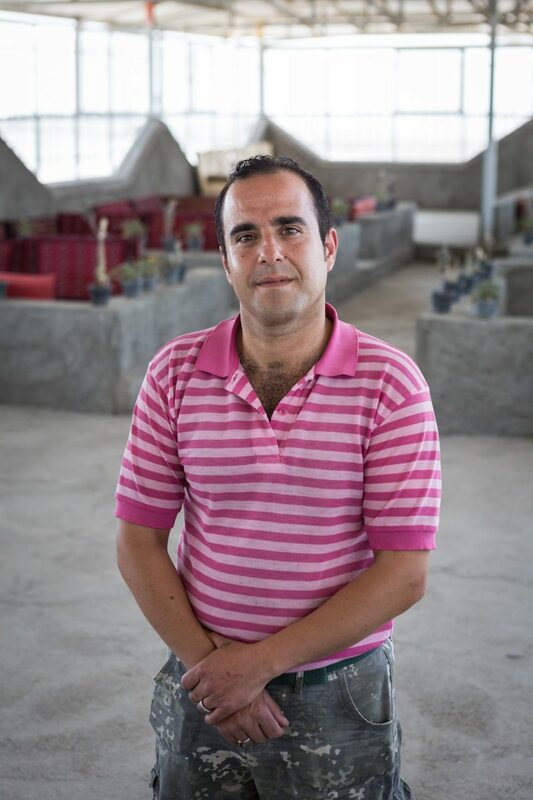 A former hotel in Sharafkhaneh has seen its last guests a long time ago. A jetty leads into nowhere. 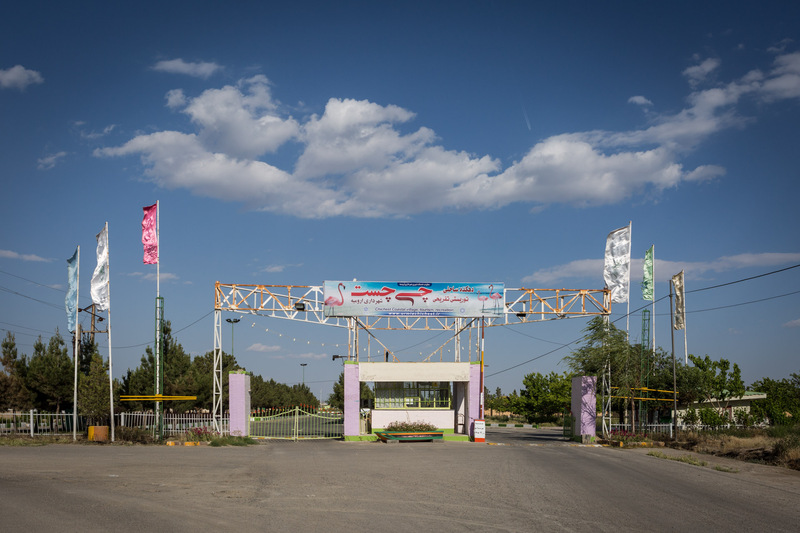 One of the projects funded by the government was this artificial lake right to the desertified lake. It serves no purpose other than recreational ones. 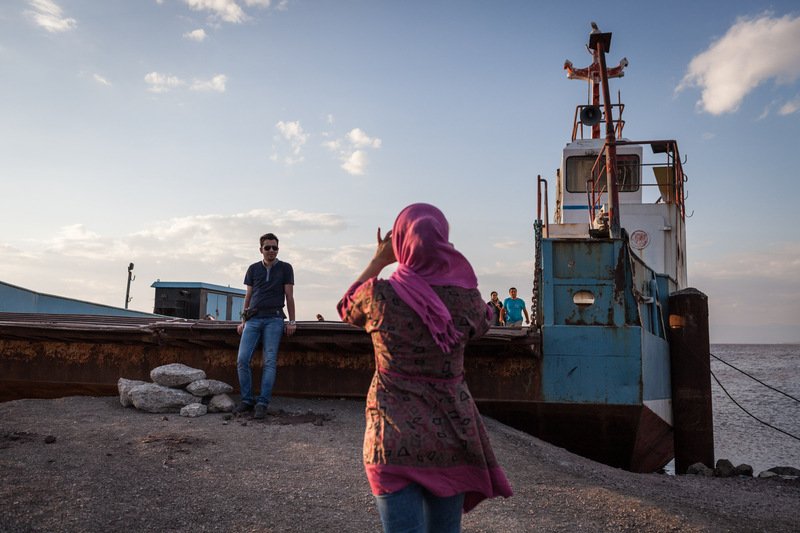 Ships lay idle near Sharafkhaneh port. 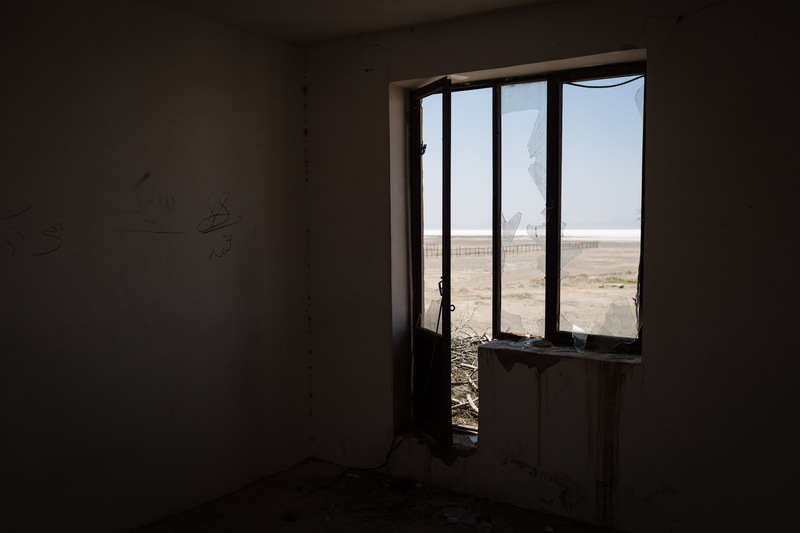 The view from an abandoned hotel near Sharafkhaneh city. 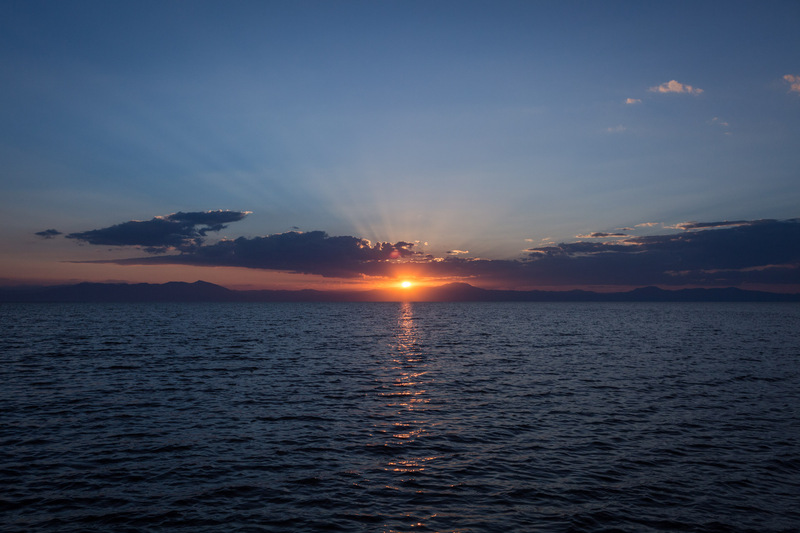 Dusk engulfs lake Urmia's northern half, still featuring water. 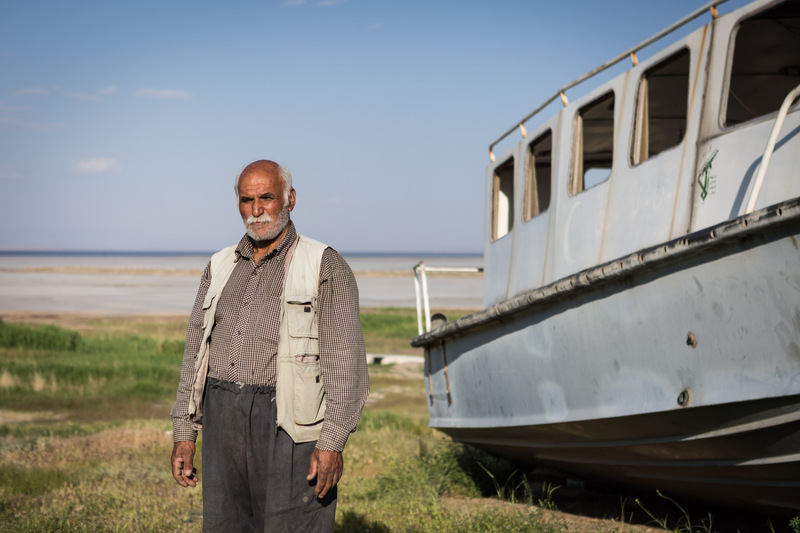 According to local scientists at Tabriz University, without taking proper measures, the whole lake will be desertified within less than a decade. 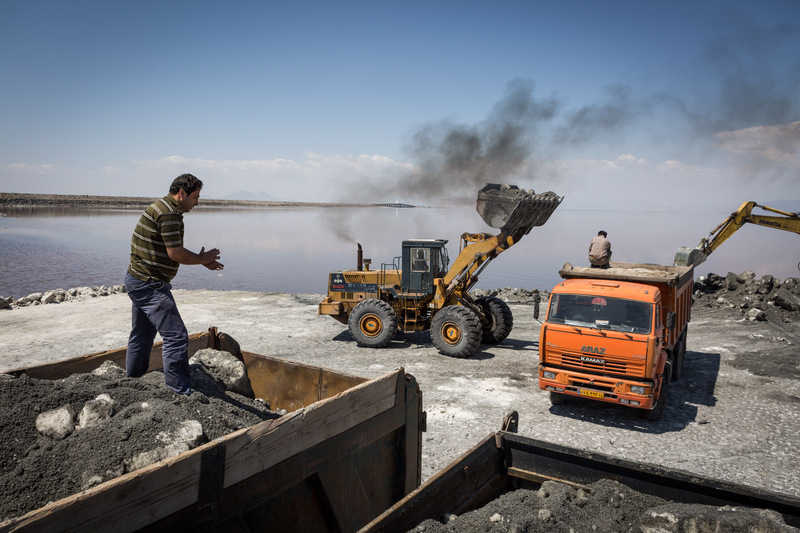 Since hundreds of years, Lake Urmia, Iran’s biggest domestic lake in its northwestern region of Azerbaijan, has been nourishing the fertile plains around it. 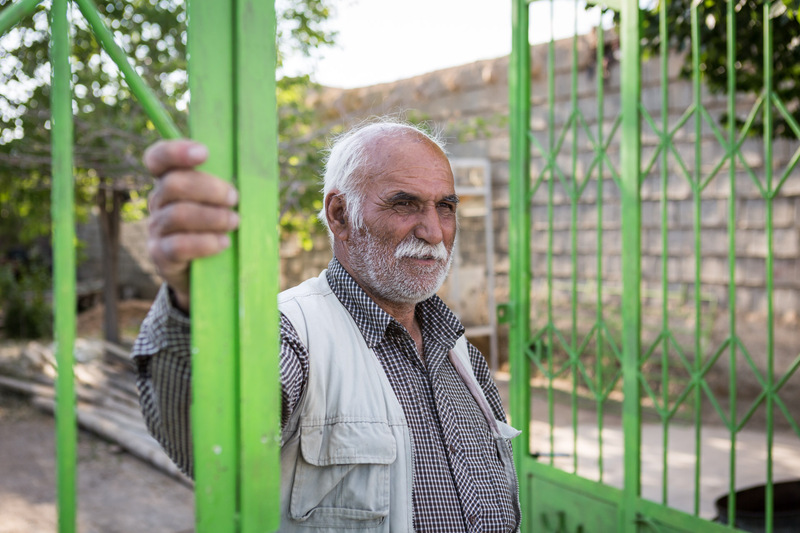 Farmers have been drilling wells, using the ground water fed by the lake, house owners used to rent their property to Azerbaijani, Russian or Iranian tourists alike. Flamingos have been feeding from the salt lakes only natural inhabitant, small crabs, for centuries. 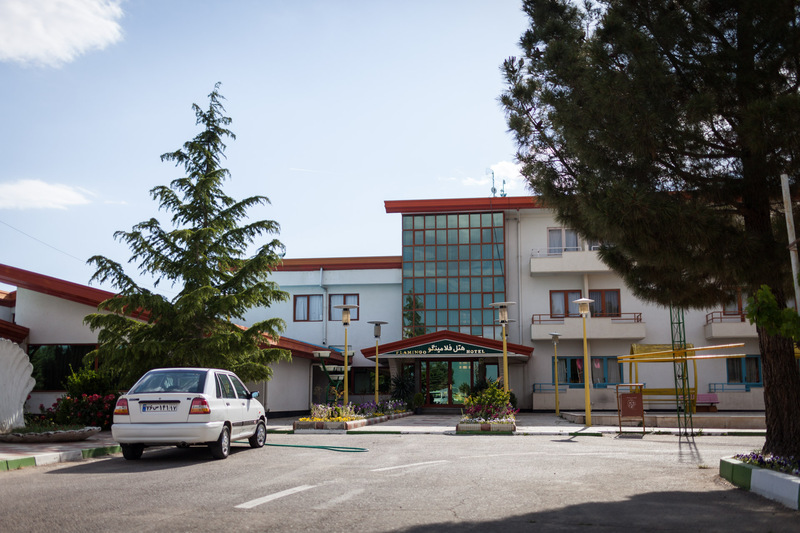 Tourists resorts and hotels around the lake mushroomed. 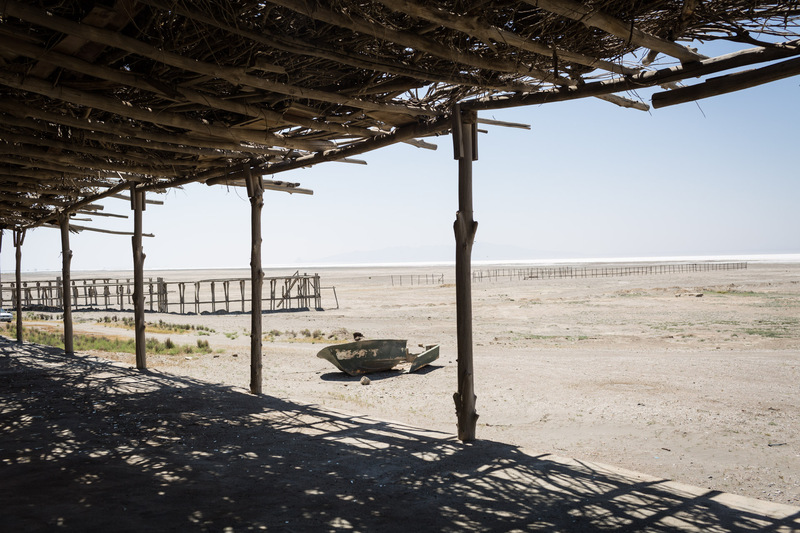 Unfortunately, due to catastrophic misuse of water and cutting the supply rivers, lake Urmia is shrinking since decades. 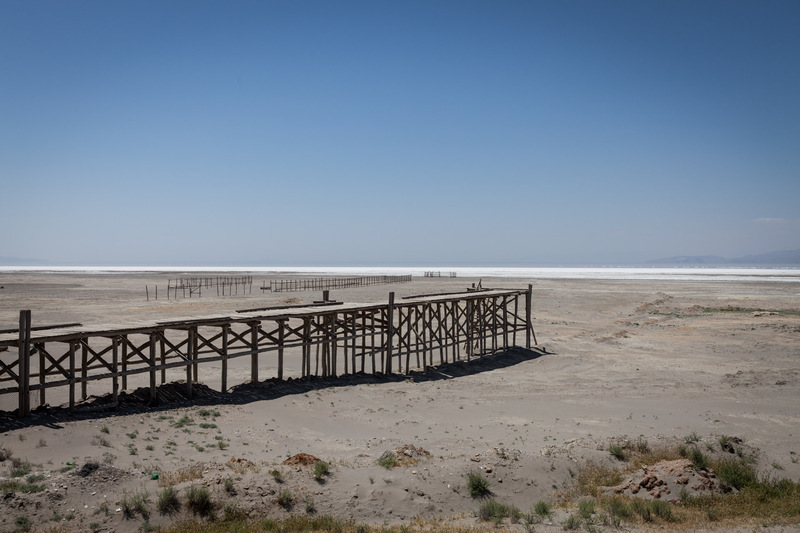 Tourism is dying slowly, and where ever the lake vaporizes, it leaves behind a salty, impenetrable crust. 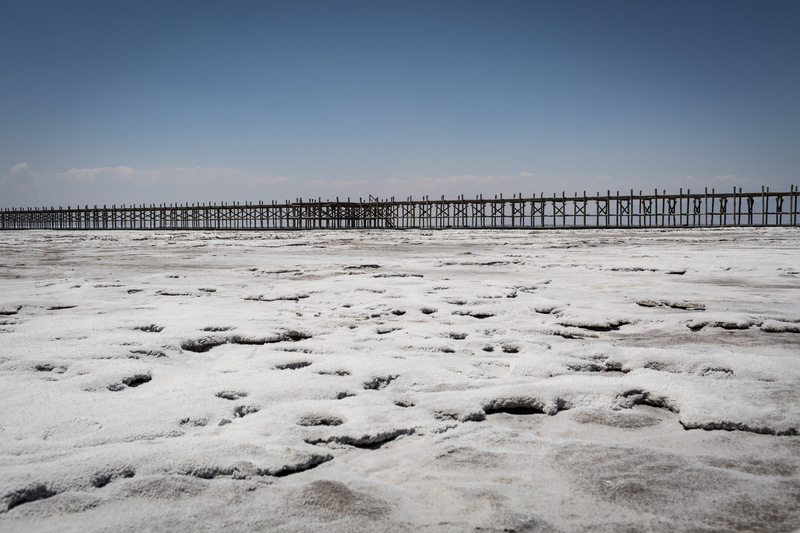 With the wind blowing, the salt gets spread big distances over the area, and the amounts of salt in the air has become so massive, that it can be proven now even in the capital Tehran. 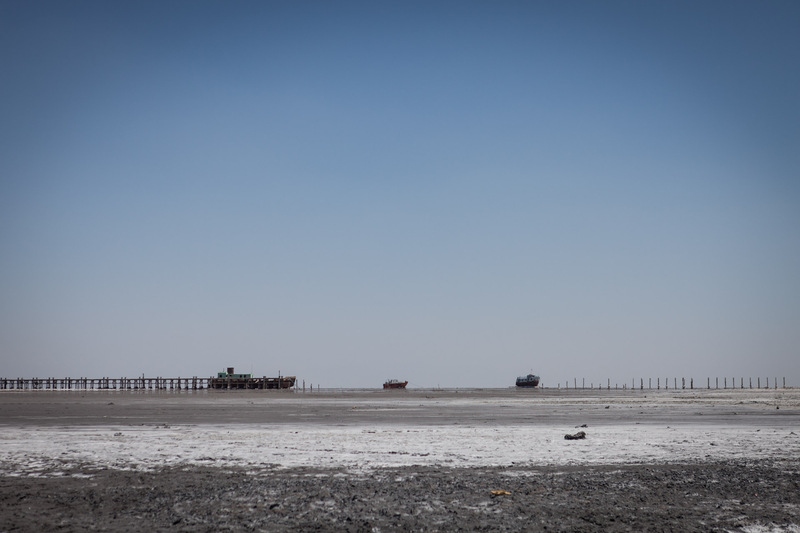 With Western Iran being a mainly agricultural area, the desertification of the lake, reshapes the whole region: When the wind is pouring salt on the soil and it starts to rain, the ground becomes infertile, leaving the farmers without any source of income. 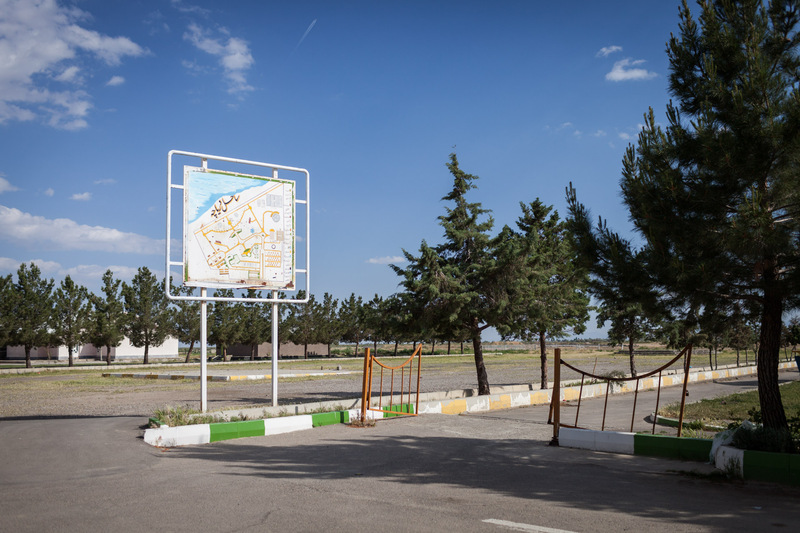 Only since president Hassan Ruhani, counter-measures have been slowly put into effect. Some scientists say, it’s already too late, others are more optimistic. 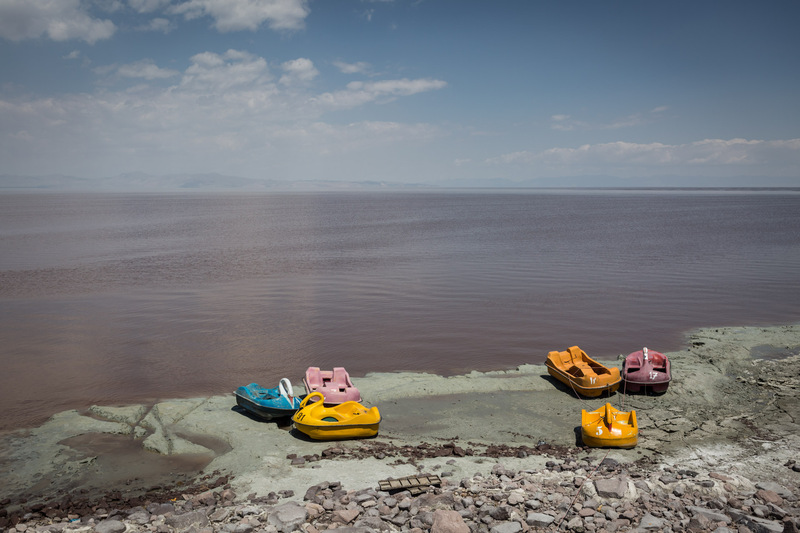 Meanwhile, the desertification of the lake accelerates every year.